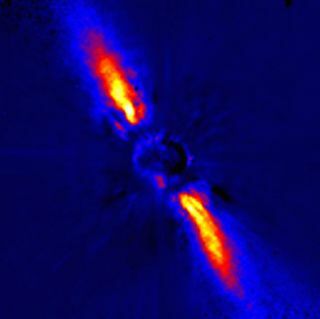 This 1997 image of the circumstellar disk around the southern star Beta Pictoris shows (in false colors) the light reflected by dust around the young star at infrared wavelengths. The disk is very close to edge-on. The Beta Pic disk is very likely an infant solar system in the process of forming terrestrial planets.